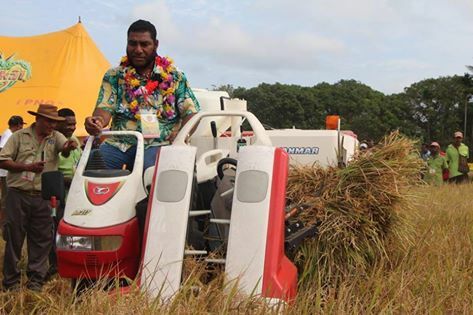 Leading rice manufacturer and distributor, Trukai Industries Limited has been in the country for well over 4o years and is now taking a new approach to increasing productivity while giving back to the people in the communities. With the establishment of various pilot rice projects in the country Trukai has been able to assists small holder farmers by providing the tactical expertise, equipment, training and skills to help the people in the rural communities produce their own rice. Last year Trukai bought about 19 tonnes of the first ever home-grown rice from the Amadi Baga rice farm along the Hiritano Highway in Central province which is one of their Pilot projects. The rice was blended into their Roots Rice brand. Apart from the Amadi Baga farm they also bought rice from other pilot project farms like Erap farm in Morobe, Kapore in WNB and another one in Oro province. According to Corporate & Communication Officer, Ms Nancy Gah these projects are part of the company’s Sustainability program and Community enriching programs to help the little farmers up-skill their ability to manage such projects and also earn extra income to sustain their livelihoods.